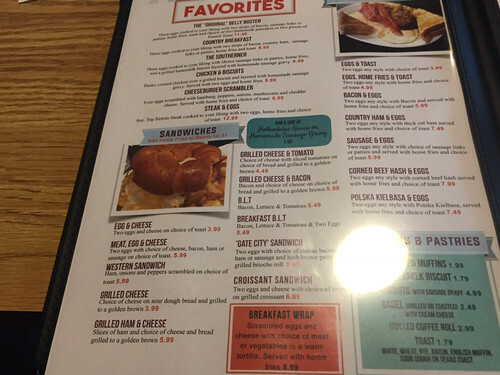 Having recently heard that Bobola's in Nashua had started serving breakfast, we made a beeline over to check them out. 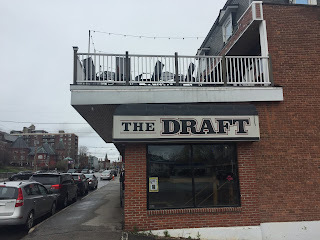 The restaurant has roots in the town of Dracut, Massachusetts where their first restaurant has been serving customers for a long time. They decided to expand with a second location in Nashua and began with lunch and dinner. 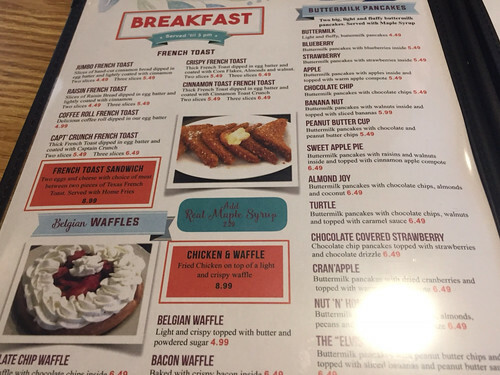 A few weeks back breakfast was added to the list of options. Bobola's designed their space with a cozy country essence in mind. Farm pictures are sprinkled throughout with low hanging lights fitting in nicely giving off a warm and not overpowering feeling. Brown colors on the walls and ceiling round everything out. The small dining room is to the left packed with booths and you will find a lounge area to the right. 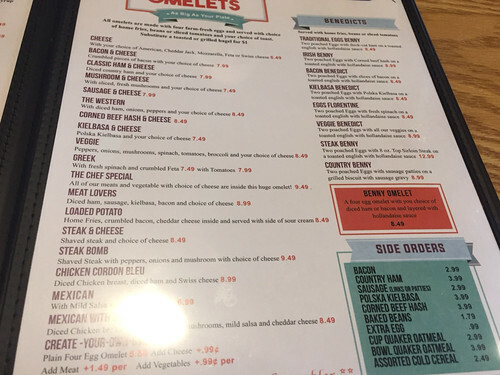 Their menu was surprisingly large with three full pages chock-full of omelets, waffles, pancakes, French toast, and egg dishes. The almond joy pancakes were an enjoyable fluffy version and suggested for those with a sweet tooth. 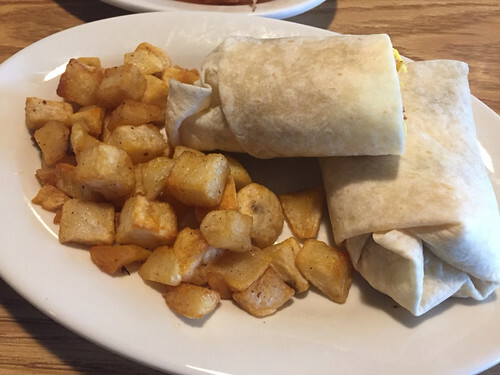 A wrap was a perfect choice with just the right mix of cheese, bacon, and eggs. The potatoes are fried and our preference is grilled home fries. One of the most powerful recommendations for a new restaurant is someone you know that has eaten there before. My cousin and his wife just happened to be at the restaurant and stopped by our table for a chat. They had been there for breakfast and dinner several times and loved Bobola's. The chicken parmesan and baked haddock are a couple of their favorites and all at reasonable prices. Based on our own pleasant experience and prior guest reference NH Reviews suggests a visit to Bobola's at 9 Simon Street. They are off the beaten path in an industrial area. Firing up your GPS is the easiest way to find them. In Nashua, they are open Tuesday to Thursday 7:00 am to 9:00 pm, Friday and Saturday 7:00 am to 10:00 pm and Sunday 7:00 am to 3:00 pm. Closed on Monday. Breakfast is served until 3:00 pm on the days the restaurant is open. Their phone number is (603) 577-1086. Find them in Dracut at 1420 Lakeview Avenue with phone number (978)957-0065. More information and details are available on their website.